Historically, positron emission tomography (PET) systems have been based on scintillation crystals coupled to photomultipliers tubes (PMTs). However, the limited quantum efficiency, bulkiness, and relatively high cost per unit surface area of PMTs, along with the growth of new applications for PET, offers opportunities for other photodetectors. Among these, small-animal scanners, hybrid PET/MRI systems, and incorporation of time-of-flight information are of particular interest and require low-cost, compact, fast, and magnetic field compatible photodetectors. With high quantum efficiency and compact structure, avalanche photodiodes (APDs) overcome several of the drawbacks of PMTs, but this is offset by degraded signal-to-noise and timing properties. Silicon photomultipliers (SiPMs) offer an alternative solution, combining many of the advantages of PMTs and APDs. They have high gain, excellent timing properties and are insensitive to magnetic fields. At the present time, SiPM technology is rapidly developing and therefore an investigation into optimal design and operating conditions is underway together with detailed characterization of SiPM-based PET detectors. Published data are extremely promising and show good energy and timing resolution, as well as the ability to decode small scintillator arrays. SiPMs clearly have the potential to be the photodetector of choice for some, or even perhaps most, PET systems. Associate Editor Angelique Louie oversaw the review of this article. Positron emission tomography (PET) involves injection of trace amounts of biomolecules labeled with a positron-emitting radionuclide and subsequent detection of the two back-to-back 511 keV photons produced simultaneously following positron–electron annihilation within the tissue. From the first development of positron scanners12,73 and positron emission tomography (PET) systems in 1960s and 1970s67,98 to today’s sophisticated commercial PET scanners, the vast majority of designs have been based on scintillation crystals coupled to photomultipliers tubes (PMTs). The 511 keV annihilation photons interact in the scintillator producing a short-duration pulse of visible light. The PMT converts these optical photons into electrons and multiplies them to create a detectable charge pulse that signifies the detection of an interaction. PMTs are very sensitive photodetectors combining high gain (amplification of signal by a factor of 106 to 107) with fast timing and are manufactured in a wide range of geometries and sizes. They represent a mature photodetector based on vacuum-tube technology that has been continuously improved over many years. Advances have included enhanced quantum efficiency,53 improvements in timing performance, and multichannel and position-sensitive PMTs that allow localization of incoming scintillation photons on the photocathode. Nonetheless, their limitations in terms of quantum efficiency (fraction of incident light photons converted into electrons), bulky package size, and relatively high cost per unit surface area, along with the emergence and growth of new applications for PET that have quite demanding requirements, open opportunities for other photodetector designs. This review explores the potential of an emerging technology, silicon photomultipliers (SiPMs), as an alternative photodetector for PET applications. PET is widely used as a clinical and research tool for imaging cancer and a variety of neurological and cardiovascular disorders.4,21,56 Most scanners are designed for whole-body imaging, although some smaller dedicated devices for the brain and for breast cancer imaging have been developed. Systems are also available for preclinical imaging,40 with a focus on high-resolution imaging in rodent models of human disease and preclinical evaluation of new therapeutic approaches. PET scanners often consist of rings or arrays of detector modules that surround the subject, commonly in a cylindrical geometry. For clinical systems, there is a desire to increase the axial length of the scanner, thus increasing the volume of tissue imaged at one time, and increasing solid angle coverage of the detectors with respect to the radionuclide emissions within the body. This can shorten imaging time, or allow reduction in the activity of the injected radiotracer reducing radiation exposure. However, it is offset by the roughly linear increase in cost (associated with more detector surface area) with increasing axial length. Lower cost photodetectors that can populate a large detector surface area would be desirable. A second trend is the incorporation of time-of-flight information, where the time difference of arrival of the two annihilation photons produced following the decay of a positron-emitting radionuclide, is measured.59 This allows improved localization of an event and can improve signal-to-noise in the images. However, timing resolution for a pair of detectors must be significantly less than 1 ns for this to be effective. Time-of-flight PET therefore benefits from photodetectors that have a very fast pulse rise time such that the time an interaction occurs in the detector can be precisely determined. The increasing role of preclinical imaging in the understanding of disease processes and the assessment of treatment efficacy has led to a rapid expansion of small-animal imaging in the last 20 years. The scale of the anatomical and functional features to be studied requires modified instrumentation, with enhanced spatial resolution and sensitivity,96 where sensitivity is defined as the fraction of radioactive decays that results in a detected event within the scanner. Sensitivity improvements can be achieved by reducing the ring diameter to match the size of the small-animal subject and achieve higher solid angle coverage. Approaches to obtaining high spatial resolution include the use of monolithic crystals combined with event localization algorithms46,54 or the use of arrays of small scintillator elements.91 In both cases, compact photodetectors that can be packed tightly around the subject are desirable to avoid sensitivity losses due to gaps between detectors. Furthermore, the best possible signal-to-noise is required to accurately define the location or crystal of interaction. In some proposed configurations, scintillation light is extracted from both ends of a scintillator array with one photodetector placed on each end.104 This places even more stringent constraints on the physical size of the photodetector and the ability to pack them tightly together. Thus for preclinical PET applications, very compact photodetectors that are capable of fine positioning are necessary. In addition, low cost is desirable for widespread adoption of such imaging systems in research laboratories. Another trend has been to develop multimodal imaging systems combining anatomical and functional information, resulting in new clinical and research tools. The integration of PET and CT (X-ray computerized tomography) has been shown to improve diagnostic capability4,6 and all commercially available whole-body PET systems are now combined with CT. Preclinical scanners typically come with a CT component. Recently, the combination of PET with MRI (magnetic resonance imaging) has become a topic of interest, as such systems have great potential for soft tissue imaging88 and whole-body imaging.16 In addition, simultaneous acquisition of both modalities enables the comparison and integration of various functional, physiologic, and metabolic parameters with the underlying anatomy and improves the accuracy of image registration. However, combining PET and MRI brings forth new technical challenges: in order to preserve the quality of the PET images, detectors must be insensitive to magnetic fields (field strengths in range of 1–12 T), and they must not degrade MR images by creating artifacts or decreasing signal-to-noise ratio. PMTs are extremely sensitive to magnetic fields and are therefore generally not suitable for PET/MRI. This application requires very compact and magnetic field insensitive photodetectors that can be packed in the confined bore of an MRI system. It would benefit from photodetectors that do not need supporting electronics (i.e., preamplifiers) to be placed close to the detector output where they would take up valuable space and increase the likelihood of interference with the MR system. In each of these application areas, there is the potential for alternative photodetector technologies to play a role. PMTs, due to their combination of high gain, fast timing, and moderate cost, have shown remarkable longevity as the photodetector of choice for PET. However, in the silicon photomultiplier (SiPM), the topic of this review, has the PMT finally met its match? Before discussing SiPMs, it is instructive to briefly consider the device upon which SiPMs are based, the avalanche photodiode (APD). APDs are compact silicon devices, based on a modified p–n junction structure, that overcome several of the drawbacks of photomultiplier tubes described above.86 APDs are designed such that when a bias voltage is applied, a region with a very high electric field is created. The field is high enough that charges produced in this region (e.g., by the absorption of light photons from a scintillator) may be accelerated sufficiently to create further electron-hole pairs in the region by impact ionization, thus causing a multiplication or “avalanche” of charges that are then collected to form an output pulse. The APD thus differs from a conventional photodiode in that it has internal gain. For PET applications, APDs are operated in proportional mode, just below the breakdown voltage. At this bias voltage, the gain is high, and the output signal is proportional to the amount of scintillation light interacting in the APD. APDs exhibit very high quantum efficiency (up to 80 vs. 25% for PMTs) and are compatible with operation in high magnetic fields.85 APDs have been incorporated in several small-animal PET scanners.5,105,107 APDs work with high bias voltages similar to those used with PMTs, however, they produce a much lower gain (~102 to 103 as opposed to 106 to 107 for PMTs) and exhibit poorer timing resolution (APDs have a slower rise time than PMTs97). Operating conditions for APDs are challenging, as they may require cooling to achieve adequate signal-to-noise, and careful temperature and bias voltage regulation is needed for stable operation, as the gain is a strong function of these two parameters. APDs have been available for several decades, and despite continuous improvements and successful incorporation in some PET systems, their overall performance characteristics and economics have not been sufficient to convince most manufacturers to replace their PMT-based designs. SiPMs, also known as multi-pixel photon counters (MPPCs) or solid-state photomultipliers (SSPMs),1 represent an alternative solution that to a large extent combines the advantages of PMTs and APDs. They have high gain (equal or greater than PMTs) are operated at moderate bias voltages (<100 V).13 They are relatively insensitive to magnetic fields29 and thus are a good candidate for PET/MRI applications. Like APDs, SiPMs require careful temperature control for stable operation because their gain is sensitive to temperature variations. However, many applications do not require preamplification or cooling to achieve adequate signal-to-noise levels. Excellent timing properties of SiPMs also make them promising for time-of-flight PET imaging. 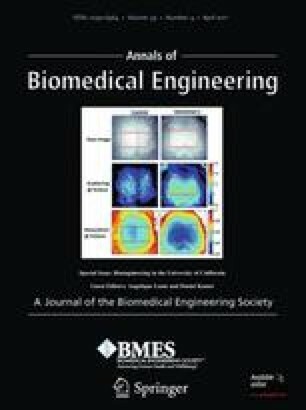 Some companies predict large-scale, high-yield manufacturing of SiPMs, and consequently low-prices, although the ultimate cost of this technology may take some time to become clear and will depend, in part, on the demand for SiPMs for other applications outside of the nuclear medicine field. Solid-state single photon detectors were initially investigated in 1960s, followed by avalanche photodiodes operated in Geiger-mode (G-APDs), also known as single photon avalanche photodiodes. In Geiger-mode, the devices are operated above the breakdown voltage, thus producing a large output pulse, even for the detection of a single optical photon. These are excellent detectors for very low light level optical applications, but not very useful for PET, as the output pulse amplitude is independent of the number of scintillation photons striking the device. In PET, the number of photons produced in the scintillator is proportional to the energy of the detected gamma photon. If the detector output is not proportional to the number of scintillation photons, then the energy of the gamma photon cannot be determined and the system cannot reject lower energy events that have undergone a Compton scatter interaction in the subject. C cell is the capacitance of a cell, V bias is the applied voltage, and V breakdown is the breakdown voltage for the G-APD cell. A typical value for the capacitance of a cell is 100 fF and the overvoltage (V bias − V breakdown) applied to the device is a few volts. The charge accumulated by a cell is therefore on the order of 200 fC, which results in a cell gain of about 106.15,27 The readout of the array of cells within a SiPM is performed via a common load resistor. As individual cells operate like binary devices, the output signal of the SiPM is proportional to the number of cells that fired. When illuminated by a low-intensity light source (number of photons ≪ number of microcells), assuming there is good gain uniformity between the cells, a SiPM produces output pulses with amplitudes proportional to the number of photons that are converted into a Geiger discharge within the device. This can be observed by acquiring a pulse height spectrum under low-intensity illumination. Figure 3 shows three normalized pulse height spectra acquired for a blue LED biased and pulsed to produce three different light levels. Peaks corresponding to the statistical fluctuations in the discrete number of photoelectrons generated for each detected pulse are clearly seen. Linearity and saturation effects will be discussed later. Discharge: When optical photons hit a cell, a unit impulse of charge is produced independent of the number of incident photons and the capacitance C cell discharges through R cell. The output of the SiPM is proportional to the number of cells that fired. Quenching: In passive quenching, the reverse voltage decreases to V breakdown when current flows through the quenching resistor placed in series (Fig. 2b) with the cell. The avalanche process stops. Recharge: The voltage returns to V bias. For a given incident light level, the signal produced by a silicon photomultiplier depends primarily on the gain and the photodetection efficiency (PDE), where the PDE is defined as the fraction of incident photons that lead to a Geiger discharge and therefore a detectable signal. The major noise source arises from thermally generated pulses. We briefly examine each of these properties. The quantum efficiency is strongly wavelength dependent and depends on temperature. This is reflected in the PDE curves shown in Figs. 5a and 5b. The quantum efficiency of silicon is greater than 80% over the visible range, but the absorption in silicon (absorption length is 1 μm at 450 nm; 5 μm at 650 nm) limits the detection of blue photons to shallow layers. For this reason, G-APDs dedicated to detection of blue light are generally based on a shallow junction design with the junction located at a depth of 0.5 μm or less. Two types of structures are used in SiPMs: p-on-n or n-on-p configurations. When the first layer is a p layer (p-on-n structure), shorter wavelength (blue) photons will tend to interact in that layer producing electrons that move towards the junction under the influence of the electric field. Since electrons have a higher chance to trigger an avalanche breakdown than holes, the Geiger probability is optimized. Conversely, longer wavelength (red) photons travel further into the material and will tend to be absorbed by the n layers, and the resulting holes will drift towards the junction. The Geiger probability is then reduced. p-on-n structures thus exhibit a higher PDE at shorter wavelengths. In the case of n-on-p structures, the situation is reversed and the shorter wavelength photons will tend to trigger the avalanche via holes with a lower probability of Geiger discharge, while the longer wavelength photons will start the avalanche with electrons. Hence, this latter type of structure has a lower PDE in the blue and must be operated at higher overvoltage to provide reasonable sensitivity in this spectral region. For applications in PET, a higher sensitivity in the blue region is desirable, as the emission spectra of common PET scintillators peak in this part of the spectrum (Fig. 6).35,52 Therefore, structures with a good sensitivity in the blue region such as p-on-n, or specifically designed n-on-p structures for enhanced detection of blue light (discussed later), are preferable. The reported photodetection efficiency varies over a wide range, depending on the G-APD design, the overvoltage and whether confounding factors such as afterpulsing and optical crosstalk (discussed in next section) are included. Values reported in literature at 420 nm range from about 5 to 50%,44,92 however, comparisons must be made with care due to the strong dependence of the values on the exact methodology used for the measurement. In PET, the optical photon fluence from the scintillator is generally high and short integration times are used. These dark pulses can be virtually eliminated by setting a pulse height threshold at the level of a few photoelectrons, which is well below the average light level produced by the interaction of a 511 kV photon in a scintillator. Therefore, for many detector designs, the thermal noise from the SiPMs is not a limiting factor.66 However, for designs that determine position based on an accurate measure of the light-spread function,47,54,80 or configurations that involve multiplexing of signals across many SiPMs, thermal noise may degrade performance. Two other phenomena can lead to spurious pulses in a SiPM: optical crosstalk between cells and the afterpulsing. Optical photons can be produced within a G-APD cell operated at the breakdown voltage (3 × 10−5 photons per electron crossing the junction39,62) and can potentially move to a neighboring cell and trigger an avalanche breakdown just as an incident photon would. This phenomenon is called optical crosstalk and varies between 1 and 50% for different structures and different overvoltages.14,27,72,92 The optical crosstalk generates output pulses indistinguishable from true signals and can result in two cells within a SiPM firing even though only 1 photon was detected. If not corrected for, optical crosstalk can result in an overestimation of the PDE. To reduce crosstalk, cells need to be optically isolated. Current solutions include using a larger pitch between cells, or creating trenches filled with an opaque material between the cells.32,49,70 Both these solutions, however, reduce fill factor and adversely effect the PDE. Afterpulsing occurs when a charge carrier is trapped during a Geiger discharge and released after a certain delay to trigger a new avalanche. The incidence varies with overvoltage between 0.3 and 10%24,92 and increases when the temperature decreases because of a longer trapping time. Afterpulsing depends on the cell recovery time (thus on the quenching circuit).14 Afterpulsing can lead to a single scintillation event producing two pulses and can be a confounding factor in PDE measurements. The detector response is linear if the term PDE × N phot/N cells is rather small. For a device of a given area, a large number of cells would be preferred for PET applications as a few thousands of photons can be expected to reach the surface of the SiPM. For example, a 511 keV annihilation photon interacting via the photoelectric effect in lutetium oxyorthosilicate (LSO) scintillator produces ~12,500 optical photons. However, increasing the number of cells in a given area requires reducing the size of the cells, and this typically reduces fill factor and thus PDE, There is therefore a trade-off between dynamic range and detection efficiency. The timing properties of SiPMs are controlled by the Geiger discharge time and the recovery time. These two parameters define the shape of the output signal by controlling its rise time and decay time. The Geiger discharge is generally fast (~ a few hundred ps). The rise time of the output signal is typically a few ns. The decay time depends on the recovery time thus on the quenching circuit: for a passive quenching the time constant given by the product of R cell × C cell is usually about 30 ns15 or shorter. Both the rise time and decay time increase with the total capacitance of the SiPM. The capacitance of the photodetector increases with its area with typical values being 30 pF for a 1 mm2 SiPM and 320 pF for 9 mm2 SiPM.28 Devices with larger areas will therefore be slower. In a scintillation detector, the measured output pulse also is a function of the scintillator rise and decay times. The statistical variation in the response time of the device to an incident optical pulse, due to the time jitter of the cells, determines the timing resolution. Time jitter is caused by fluctuations in the Geiger discharge time and by the statistical variation of the detection time of the incident photons due to the decay characteristics of the scintillator. The Geiger discharge time varies with the location of the generated charge carriers.92 The time jitter is usually between 60 and 100 ps,24,44,92 thus excellent timing resolution is theoretically possible with SiPMs. From the perspective of integrating silicon photomultipliers in PET detectors, the technology still has room for improvements. First, the light intensities obtained from scintillation crystals are strong enough to necessitate a wide dynamic range, which requires a large number of cells in the sensitive area. This gets particularly challenging for small scintillator crystals used for high-resolution PET applications as the light intensity per mm2 can be quite high and it is difficult to get high fill factors (while minimizing optical cross-talk) when the cells are extremely small. Secondly, PET scanners generally incorporate detector blocks or modules that range in surface area from 20 × 20 mm2 to 40 × 40 mm2 and where individual crystal identification is multiplexed for cost considerations and to reduce the number of electronic channels. As an example, LSO–APD block detectors with a total area of 20 × 20 mm2 (10 × 10 LSO array with a crystal size of 2 × 2 × 12 mm3 coupled to 3 × 3 arrays of 5 × 5 mm2 APDs) have been developed for high-resolution PET.69 Such a design would require SiPMs with dimensions larger than those currently available. For clinical detectors, even larger-area devices approaching 10–20 mm in size might be desirable. Lastly, building complete PET scanners based on SiPMs will pose the challenge of producing thousands of silicon photomultipliers with uniform properties and that operate robustly for many years under bias at reasonable manufacturing cost. As the issues of device area and dynamic range are addressed, there are several competing factors that must be considered. Larger-area devices will result in a higher dark count rate. For a given device area, decreasing the size and increasing the number of cells will increase dynamic range, but will reduce the PDE by adversely affecting the fill factor. Hence, to maintain a reasonable PDE it is critical to have an optimized structure, with enhanced detection of blue light for PET detectors, and to maximize the Geiger discharge probability. Although p-on-n structures are intrinsically favorable to the readout of scintillation crystals whose emission is mainly in the blue part of the spectrum, high PDE may be obtained by enhanced n-on-p structures. Several designs, based on MRS structures, have been proposed by Sadygov et al. 77 A buried junction configuration with the p–n junction located ~0.8 μm below the surface, with a depletion layer less than 1 μm thick was investigated by Piemonte et al. 70 Such a configuration maximizes the triggering probability (Geiger discharge always triggered by electrons) and the fill factor. Moreover, antireflective coating such as silicon oxide and silicon nitride can be applied on the top layer to increase the sensitivity in the blue and near ultraviolet49 by decreasing the reflectance of the first layer. Since larger-area devices are needed for PET, a higher fill factor and an improvement in PDE can be obtained by enlarging the total sensitive area, and increasing the cell size. However, this may pose dynamic range issues as the scintillation light for a given crystal dimension is now spread over fewer cells. Larger cells result in higher cell capacitance thus in a greater cell gain (Eq. 1), but also in a higher likelihood of dark counts. Finally, a higher gain will increase the number of secondary photons created in the junction and will therefore increase the optical crosstalk. Working at higher gain without suffering trade-offs in performance will require an improvement in dark count rate and reduction of optical crosstalk. Improvements in cell density can be made with innovative structures such as the buried junction described above, or a design known as micropixel APDs (MAPDs). These MAPDs are based on a common p–n junction on a n-type substrate, with microwells.2 This design77 allows the production of high cell density SiPMs (3 × 3 mm2 devices with 15,000–40,000 cells per mm2). The size of commercially available SiPMs is currently limited to ~10 mm2 (in comparison, the size of APDs goes up to over 400 mm2), although some devices under development are now in the 20–30 mm2 range. The restricted device area is dictated both by manufacturing and noise considerations. One solution to overcome this limitation is to build SiPM arrays. Earliest arrays consisted of discrete single element SiPMs packaged into small arrays.36 Monolithic SiPM arrays are under active development70,108 and early devices are now commercially available. However, some manufacturing and operating challenges need to be considered. Current fabrication techniques do not guarantee an array in which the individual SiPMs have identical performance, especially when a large number of SiPMs in the array is desired. Breakdown voltage and gain can vary from one SiPM pixel to another, and some pixels can be non-functional. From the perspective of improving the yield when fabricating large-area SiPM arrays, identification of cells exhibiting early breakdown and non-functional devices should be carried out. This can be done through on-wafer characterization based on an automatic measurement of the current voltage characteristics in forward and reverse bias voltage mode, allowing the quenching resistance of each SiPM and dark current to be determined. X and Y are the computed coordinates of where the light strikes the SiPM array, based on the four signal outputs from the corners of the resistive network (Fig. 8a). When coupled to an array of scintillator crystals (which need not necessarily match the pitch of the SiPM pixels), and by building a 2D histogram of the (X, Y) locations for a large number of scintillation events, one can build a crystal map where individual crystals in the array may be resolved (Fig. 8b). The smallest size crystal that can be resolved with this technique is a complex function of scintillator light output geometry, reflectors, and surface treatments, SiPM element size, gain, and dynamic range, and the effects of the resistive network on the SiPM signals. This type of fabrication also allows the development of digital SiPMs.25 In such a detector, each detected photon is converted to a digital signal that contains information on the number of microcells that fired and an associated timestamp. These devices are therefore intrinsically very fast25 and active quenching built into each cell provides a short recovery time. Each cell is equipped with a static memory that allows the cell to be enabled or disabled. In this manner, cells with an excessive dark current rate, for instance, could be switched off. The high gain, high photodetection efficiency, compact geometry and magnetic field insensitivity make SiPMs an attractive photosensor for the readout of scintillation crystals used in PET. Given the small area of current SiPM devices, much of the focus to date has been on decoding scintillator arrays with small elements designed for high-resolution PET applications such as small-animal or breast imaging. Due to the variability of SiPM properties with changes in temperature and overvoltage, an extensive characterization of SiPM-based PET detectors (crystal identification, energy resolution, and timing resolution) is needed together with an investigation of optimized operating conditions. As the amplitude of a light pulse generated when an annihilation photon interacts with the scintillator crystal (via the photoelectric effect or Compton scattering) is proportional (ignoring slight non-linearities in the scintillation material itself) to the energy deposited in the crystal, the energy resolution of the detector will depend on the performance of the photodetector. In the case of SiPMs, the parameters of importance are the PDE which determines what fraction of the incident scintillation light photons are converted into Geiger-discharges, and the dynamic range, which if not sufficient can lead to non-linearities and distortions in the relationship between energy deposited and SiPM output. In general, energy resolution improves with better PDE. Therefore, one may conclude that a higher overvoltage (which increases the Geiger probability and thus PDE) will give better results. However, the overvoltage increases the dark count rate and optical cross-talk. Therefore, there is only a narrow bias range, typically, several tenths of a volt, where the energy resolution is optimized (Fig. 9b). Since the overvoltage varies with temperature, this indicates that the energy resolution will be dependent on the temperature. The measured energy resolution is also affected by the cell density. Non-linearities in SiPM signal with increasing energy (and therefore light level) are observed (Fig. 10) due to the finite number of cells in the SiPM. This non-linearity typically degrades the energy resolution and downshifts the photopeak position,36,61 and should be corrected when one wants to assess the energy resolution.45 The energy spectrum can be corrected by linearization of the amplitude scale using a calibration curve (plot of SiPM response as a function of energy).61 In extreme cases where the scintillation light levels exceed the number of cells, the energy resolution becomes meaningless as all events cause all cells to fire and the SiPM output no longer depends on energy. A custom-made 3 × 3 array built from 9 single-channel SiPMs with a 3.5 mm interpixel gap, coupled to an 12 × 12 element LSO array36 showed good uniformity in energy resolution: 19.3% in the center crystals to 22% in the edge crystals. This variation is comparable to what can be expected from LSO–APD based detectors.104 In addition, all the 144 crystals (individual size 1.5 × 1.5 × 20 mm3) could be resolved in the crystal map. 5 × 5 mm2 position-sensitive SiPMs (Fig. 11a) have shown the ability to resolve 0.5 × 0.5 × 5 mm3 individual crystals in an LSO array (Fig. 11b).51 These data show that multi-element or position-sensitive SiPM devices can resolve the size of scintillator elements being used for even the most demanding high-resolution PET applications. A PET detector based on a 4 × 4 SiPM array coupled to a 13.2 × 13.2 × 10 mm3 continuous LYSO crystal has been evaluated.80 Using an original algorithm,46 the entry point of the annihilation photon can be estimated to correct for the DOI. The FWHM of the detector spatial response yielded a resolution of 1.86 mm, with a very good uniformity with respect to the angle of incidence. A multi-headed PET scanner has been proposed and simulated by Moehrs et al. 30,55 Each detector head is composed of three stacks of detectors units, with each unit consisting of a SiPM array coupled to a continuous LSO slab of thickness 5 mm (Fig. 12b). The SiPM array is coupled to the crystal by a quartz light pipe (thickness 0–2 mm). The array has 1 × 1 mm2 SiPMs on a 1.5 mm pitch.44 The depth of interaction information is given by the thickness of the LSO slab and will be 5 mm. A simple prototype scanner would consist of two or four rotating 4 × 4 cm2 heads. where c is the speed of light. With good timing resolution (a few hundred of ps), the event can be located within a few cm along this line of response, thus providing higher signal-to-noise ratio images compared to images reconstructed using standard computed tomography algorithms with no timing information. This is equivalent to improving the effective sensitivity of the scanner by a factor inversely proportional to Δx.11 For example, a timing resolution of 100 ps will constrain an annihilation event position to a Gaussian position distribution with a FHWM of 1.5 cm length along the line of response. The good intrinsic timing resolution of SiPMs along with potentially high photodetection efficiency, make SiPMs promising photodetectors for time-of-flight PET. Coincidence timing resolutions between 0.7 and 4.5 ns have been routinely measured with coupling of LSO or LYSO crystals to SiPMs.42,43,50,61,66 Recently, a timing resolution as good as 240 ps was reported by Kim et al. 34 with LYSO crystals coupled to SiPMs with a high PDE of 45%. In general, improvements in PDE should lead to improvements in timing resolution, as there will be less variability in the detection time of the first photoelectron, which determines the earliest time at which a signal can be sensed. Since the PDE depends on the overvoltage, the coincidence timing resolution depends strongly on the overvoltage. The timing resolution is only a weak function of the temperature. However, the overvoltage is temperature dependent, temperature still needs to be controlled. Just as with energy resolution, there is only a limited bias voltage range that provides the optimal timing resolution.34 The variation of breakdown voltage from device to device creates challenges for detectors where a large number of SiPMs are tiled together, as the bias voltage may need to be separately adjusted to provide the overvoltage that gives the best timing resolution for each element. Are SiPMs Meeting Their Potential for Application in PET Imaging? Energy resolutions of ~13% have been measured by different groups by coupling SiPMs to single LSO or LYSO crystals, at room temperature. That is comparable to measurements at 511 keV with single LSO crystals coupled to PMTs3 or APDs.33,69 Energy resolutions measured with SiPMs arrays coupled to pixelated crystals are slightly worse (19–25%) than some results obtained with large-area PS-APDs (16.2% at room temperature105) but comparable to results obtained with LSO block detectors coupled to PMTs: For example energy resolutions of 15–25% were measured with 8 × 8 LSO arrays coupled to multichannel PMTs in microPET.17 In the case of SiPM arrays, there is a certain amount of light loss mainly due to the dead space between the pixels and better energy resolution can be expected with optimized light collection and continuous or tightly packed monolithic devices. First tests of SiPM-based PET detectors in the presence of a magnetic field have revealed that the SiPM signals are not distorted by the MR system and that SiPM-based PET detectors do not generate artifacts in the MR images. These results confirm that silicon photomultipliers are well-suited for PET/MRI systems and may be considered for future generations of MR-compatible PET detectors. What Improvements Can Be Expected and Which Challenges Are Posed? With LSO and LYSO, the scintillator itself (both due to light output, and non-linearities in light production) remains the dominant factor in the measured energy resolution, as evidenced by the fact SiPMs already achieve comparable energy resolution with these scintillators coupled to PMTs. However, it is conceivable that with a very bright scintillator, the number of cells would be a limiting factor, and that the energy resolution achieved with SiPMs would not be as good as with PMTs. Overall, the challenge in SiPM development is to increase the active area while at least maintaining or preferably improving the performance. This is not trivial given considerations regarding increasing dark noise, the need to maintain high fill factors, the need to integrate ancillary circuits and functions to control large numbers of tightly packed SiPM pixels in array structures, and the likelihood of decreasing yields (and therefore increasing costs) as devices get larger and incorporate more SiPM pixels. Integrated features such as pixel conditioning level or quenching circuits may improve the performance of SiPM in terms of pixel gain uniformity and timing. Advances in manufacturing should allow the production of larger-area devices, with better yield and consequently lower cost. Fully digital SiPMs that output digital signals will be well-suited to large-scale integration in PET scanners, although power consumption and heat dissipation issues may not be trivial in a scanner with tens of thousands of tightly packed detector elements. With extremely promising published data demonstrating good energy and timing resolution, and the ability to decode arrays of scintillator elements, SiPMs have confirmed their potential as possible replacements for PMTs in PET detectors. One key question will largely determine whether PET scanners of the future will be based on SiPMs, and that is: Can SiPMs arrays or position-sensitive SiPMs be made with sensitive areas of at least 20 × 20 mm2 without any degradation in performance and at a cost per unit area significantly less than PMT’s? If the answer is yes, then it would be hard to imagine that we will not see widespread adoption of SiPM technology in PET in the future. SiPMs are called by several different names depending on the specific design and manufacturer and this can be confusing. In this review we will use the term SiPM to generically describe all such devices and will avoid the use of specific product names except where it relates to a specific piece of data or otherwise is relevant. A fundamental difference between a Geiger mode APD compared to a proportional APD is that it is reversed biased above the breakdown voltage. This allows the generated carriers to trigger avalanche multiplication, resulting in a self-sustaining breakdown. These devices require a quenching circuit to terminate the avalanche process. Some of the results presented in this review were supported by funding from NIH grant R01 CA134632. The authors thank Kanai Shah, Mickel McClish, and Purushottam Dokhale at RMD Inc. (Watertown, MA) and Yongfeng Yang, Yibao Wu, Jeffrey Schmall, Julien Bec, and Sara St. James from UC Davis for useful discussions. The authors also thank the reviewers of this manuscript for their careful reading and extremely helpful suggestions. Anfimov, N., I. Chirikov-Zorin, A. Dovlatov, O. Gavrishchuk, A. Guskov, N. Khovanskiy, Z. Krumshtein, R. Leitner, G. Meshcheryakov, A. Nagaytsev, A. Olchevski, T. Rezinko, A. Sadovskiy, Z. Sadygov, I. Savin, V. Tchalyshev, I. Tyapkin, G. Yarygin, and F. Zerrouk. Novel micropixel avalanche photodiodes (MAPD) with super high pixel density. Nucl. Instrum. Methods Phys. Res. A., 2010. doi: 10.1016/j.nima.2010.07.003. Christian, J. F., C. J. Stapels, E. B. Johnson, M. Mcclish, P. Dokhale, K. S. Shah, S. Mukhopadhyay, E. Chapman, and F. L. Augustine. Advances in CMOS solid-state photomultipliers for scintillation detector applications. Nucl. Instrum. Methods Phys. Res. A, 2010. doi: 10.1016/j.nima.2010.03.004. Lee, C., Y. Soo Kim, W. Suk Sul, H. Kim, S. Han Shin, and G. Cho. Feasibility study on TOF-PET with fill factor improved SiPMs. Nucl. Instrum. Methods Phys. Res. A, 2010. doi: 10.1016/j.nima.2010.06.155. Mcclish, M., P. Dokhale, J. Christian, E. Johnson, C. Stapels, R. Robertson, and K. S. Shah. Characterization of CMOS position sensitive solid-state photomultipliers. Nucl. Instrum. Methods Phys. Res. A, 2010. doi: 10.1016/j.nima.2010.03.159. Mcclish, M., P. Dokhale, J. Christian, C. Stapels, E. Johnson, F. Augustine, and K. S. Shah. Performance measurements from LYSO scintillators coupled to a CMOS position sensitive SSPM detector. Nucl. Instrum. Methods Phys. Res. A, 2010. doi: 10.1016/j.nima.2010.08.064. Ninkovic, J., L. Andricek, C. Jendrisyk, G. Liemann, G. Lutz, H.-G. Moser, R. Richter, and F. Schopper. The first measurements on SiPMs with bulk integrated quench resistors. Nucl. Instrum. Methods Phys. Res. A, 2010. doi: 10.1016/j.nima.2010.07.012. Taghibakhsh, F., A. Reznik, and J. A. Rowlands. Silicon photomultipliers for positron emission tomography detectors with depth of interaction encoding capability. Nucl. Instrum. Methods Phys. Res. A, 2010. doi: 10.1016/j.nima.2010.06.180. Zorzi, N., M. Melchiorri, A. Piazza, C. Piemonte, and A. Tarolli. Development of large-area silicon photomultiplier detectors for PET applications at FBK. Nucl. Instrum. Methods Phys. Res. A, 2010. doi: 10.1016/j.nima.2010.04.111.